Dan Brown, the author of The Da Vinci Code, is coming out with a new novel called Inferno. 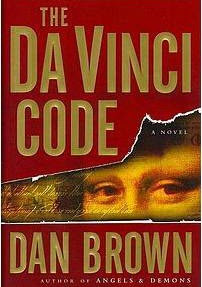 And to celebrate, The Da Vinci Code is being offered for FREE this week. This special FREE edition of The Da Vinci Code also contains an excerpt from author Dan Brown’s forthcoming novel, Inferno, on sale May 14, 2013. Unfortunately, it is not being offered for free on Nook.